Vol.1 DeusNeoX Icons, .ico for Navigation, Network, Storage, System and Web Icons. Is it an IconPackage, and for which Windows version ? These are excellent! Thanks for posting them. The zip files within the zip file are a pain and unnevessary. You're actually using up more space, not less than if you had a single zip with everything inside uncompressed. these are the icons themselves. package is here http://www.wincustomize.com/explore/iconpackager/2076/ for Windows 10. What about a complete IconPackage for Seven (8, 8.1) ? these are the icons themselves. package is here http://www.wincustomize.com/explore/iconpackager/2076/ for Windows 10. What about a complete IconPackage for Seven (8, 8.1) ? honestly im having enough issues getting iconpackager to apply and save packages consistantly as it is. apologies, skinning is something i do part time and less regularly now. 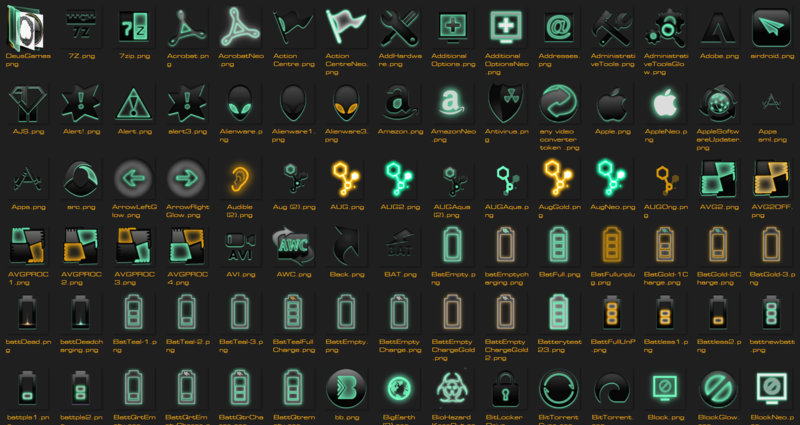 the icons themselves have been uploaded so you can work with them yourself if you choose. yeah this happened because my uploads were getting rejected in parts, so i threw them all in together. apologies.